What Are Film Jacket Folders? Healthcare operations use Film Jacket Folders to store and deliver important patient data including scans and films. They assist (diagnostic and medical imaging or radiology?) departments in providing effective patient care. Film Jacket Folders allow (diagnostic and medical imaging or radiology?) departments and the medical staff to file information effectively. They enhance filing accuracy and preserve the life of scans and films. 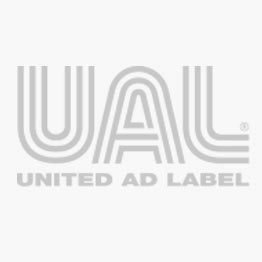 United Ad Label Film Jacket Folders make it easy for medical professionals and patients to retain essential information. The durable construction protects media in file cabinets and in the mail. And, thumb cuts make it easy to remove contents. Ames Master Jacket, 14-1/2" x 18-1/2"
X-ray Film Mailer, 11" x 13"
X-ray Film Mailer, 15" x 18"